The Renault Twizy and Twizy Cargo are fantastic electric cars but when the weather turns cold or wet, the lack of windows becomes a real issue. Well now you can drive all year round in comfort with our easy fit Twizy Windows. My name is Andrew Park and as you can see from this website my main business is actually PowerSwitch.com. I bought a Twizy to promote our website but I live in Scotland and needed windows to deal with the unpredicatble weather. I searched for a solution to make the Twizy a more comfortable drive & looked at various designs. Some used flimsy fabric or involved drilling the car body & damaging the car. Others spoilt the cool look of the Twizy or had gaps at the rear allowing rain in or trim obscuring the view out. The most solid designs were so enclosed heat, ventilation and misting could be a problem. I have an Industrial Design Degree so I decided to develop a solution somewhere between a window and a motorcycle fairing. I then approached a manufacturer and together we fine tuned our design. With our windows your Twizy looks just the same with windows as without. They are now used all round the world by Twizy owners in the UK, Belgium, Czech Republic, Estonia, Sweden, Switzerland, Norway, Denmark, France, Spain, Italy, Netherlands, Luxembourg, Austria, Malta, Portugal, Finland, Germany and the United Arab Emirates. Our Copyright protected Twizy Windows fit on the 3 bolt heads already in the door lining. They consist of two CNC machined Lexan sheets, with dual density rubber trim round the curved edges. Previously we used Velcro straps attached to two discs made of industrial grade adhesive backed plastic Velcro stuck to the frame. We use magnets to make the windows easier and quicker to open and close. The window material is machined & cold formed to fit under your Renault Twizy door bolts without any modification to the car. Just install with a Torx screwdriver by loosening the three bolts on the inside of the doors. Slot the windows in, re-tighten the bolts, stick the mounts to the frame and the metal disc to the window and GO! We promise to repair, replace or refund windows or components in the unlikely event of failure or breakage for a full 12 months from date of purchase (excluding scratching). 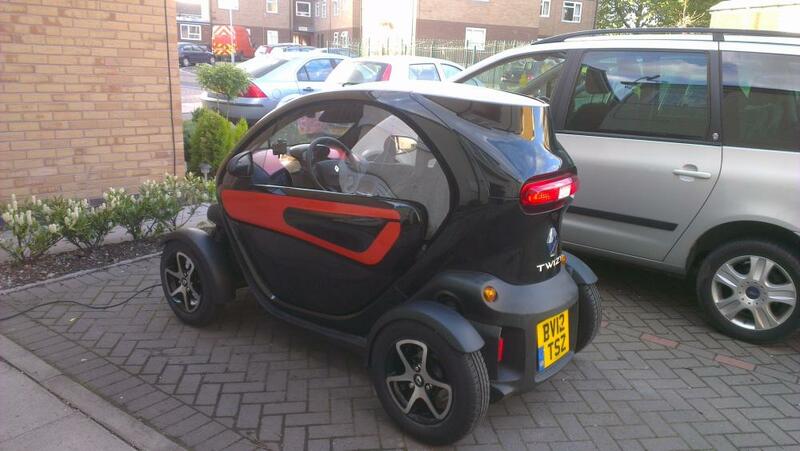 Twizy Windows require no specialist skills and can be fitted easily by anyone with a star ( Torx ) headed screwdriver. They are removable in 5 minutes in hot dry weather and can be stored at home or in the car when driving. Not only do they provide weather protection they improve security. Now you can leave items inside andthey will still be there when you return; you wont find strangers sitting in your car either ! Twizy Windows use the same material as crash helmet visors. Solid at speed and safe in impacts, they won't shatter. They are made of robust 3mm thick Lexan with a scratch and UV resistant layer on both sides to make them more hardwearing. They provide more protection to occupants heads in side impacts, object & bird strikes or rollovers. Each window weighs just 1.5kg so it wont slow your Twizy's performance. There is no frame to obstruct your mirrors or create dangerous blind spots. Our design encloses the rear of the door blocking out rain & wind for passengers too. After over three years of driving we noticed on long high speed journeys the Twizy's range improved by up to 10% with windows. It appears they reduce the turbulence in the cabin which creates drag on the Twizy. The windows smooth airflow reducing the amount of battery power required to maintain speed on motorways. 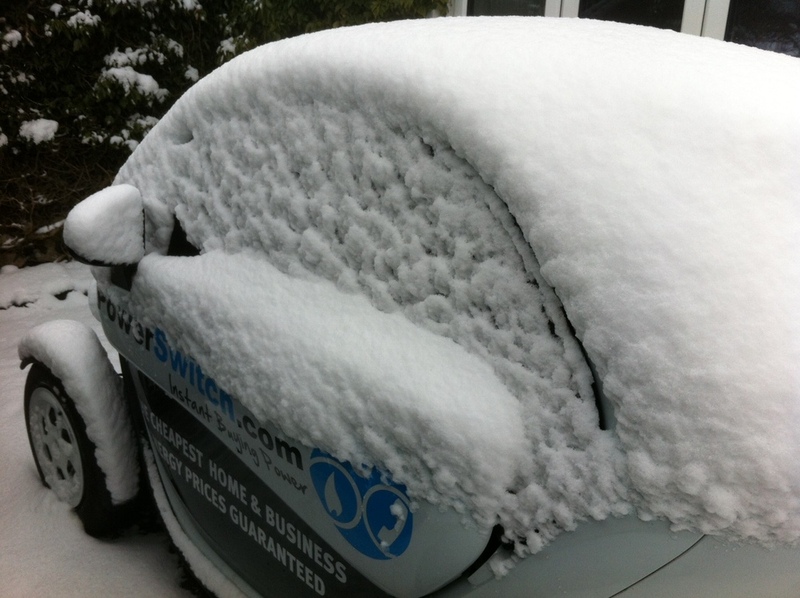 Twizy Windows give you a balance of protection from snow, wind, dust and dirt whilst still venting the vehicle. They keep the worst of the weather out. The greenhouse effect of sun heats the car whilst the apertures at the mirrors maintain indirect airflow. Condensation is minimised; visibility is maximised. You can open doors from the outside and adjust the mirrors from inside. The vent gaps also deflect air over the window ( not into the interior) and enable you to use ticket machines, road tolls or even smoke while you're driving. When opening or closing doors press the door handle and apply light pressure with your hand to the centre of the window. The windows flex and clear the frame as the door opens. We recommend you avoid letting Lexan rub against the Twizy shell when opening and closing as they can scratch like a helmet visor and should be treated with similar care. Do we supply windows without the holes at the mirrors? We can supply windows on request without the holes but you need to consider..
1. How you get at the door handle inside ? 2. The front edge of the window will sit outside the Twizy wind deflector forcing cold air thru the gap into the cabin ( a problem with Renault’s own windows). Window being fitted before protective cover is removed. Windows fit all Twizys from 2012 -2019. Made to order. Approx 30 days for delivery. Kit contains 2 windows, 2 magnetic catches, super strong adhesive & delivery. Now in partnership with SYMPHONYEV - ZE we offer a charging cable adaptor specifically designed for all EV's including Twizy's so you can charge at any charging point in your country. Just store it in the boot in it's storage bag (included) and have the freedom to charge at commercial charging points wherever you travel. These are fully CE approved for the UK and Europe. Read Autocar's review below. Beware of cheap cables- others have not been approved by charging post companies and car manufacturers and may damage your battery and warranty. Available for the UK at £261 inc vat, storage bag and delivery. European version £281 (extra £20 P&P) to suit all European countries. Order above.